Made from 100% mango wood this beautiful 2 drawer TV stand has been made to be an attractive base for your entertainment system. Featuring a single backless shelf perfect for threading wires and for storing your entertainment system. 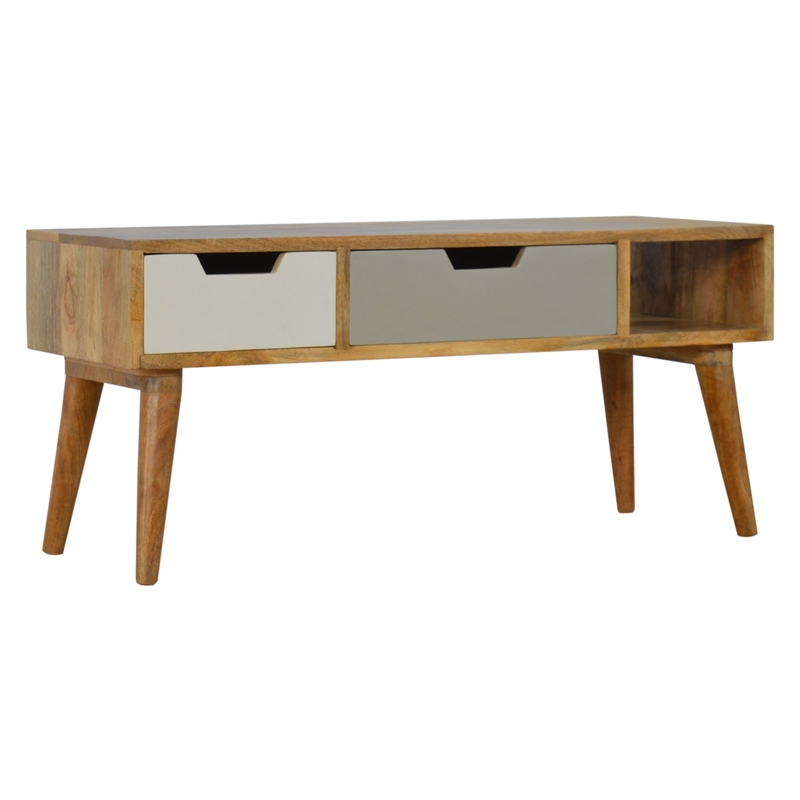 Complemented by an oak effect finish makes this TV stand a must have addition to your home if you're looking for some modern and contemporary style to complete the look you desire.